Banner Weathervanes are very effective visual pieces. 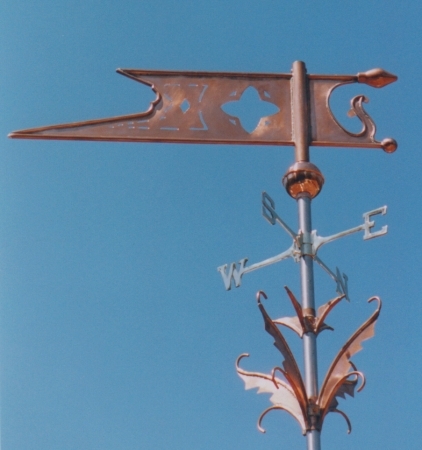 To this Cross Banner Weathervane, we have added an interesting optional decorative element to the upright rod holding the vane. Both the vane and the optional decorative flourish take to a variety of metals, and brighten with optional gilding. These types of decorative elements, added to the main sculpture piece, were popular in Victorian times. There are an infinite number of possibilities if you are looking for a more elaborate form of roof ornamentation. You could further personalize this banner by substituting a company logo or family name, either cut in or gilded, to make a bright statement against the weathered copper. The optional decorative elements on the upright can also be exchanged for another we already designed, or you are welcome to create your own. 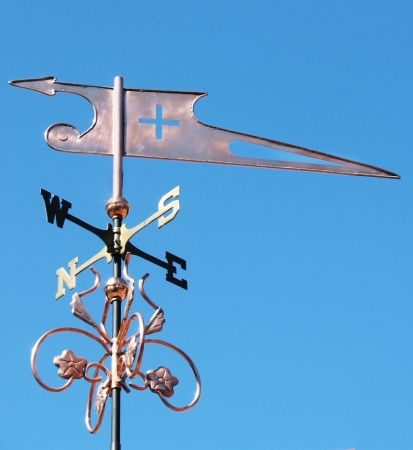 Our Banner Weathervane with Club (see below) shows another decorative element option. 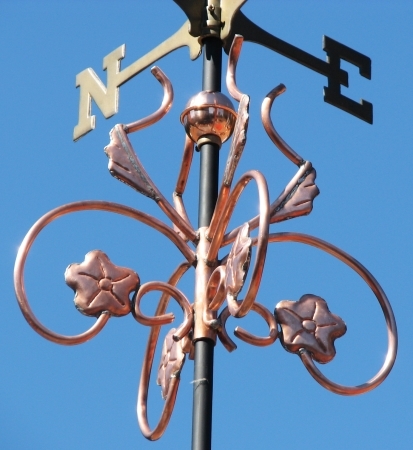 Adding decorative elements below the main weathervane sculpture piece was a popular tradition in Victorian times. There are an infinite number of possibilities. 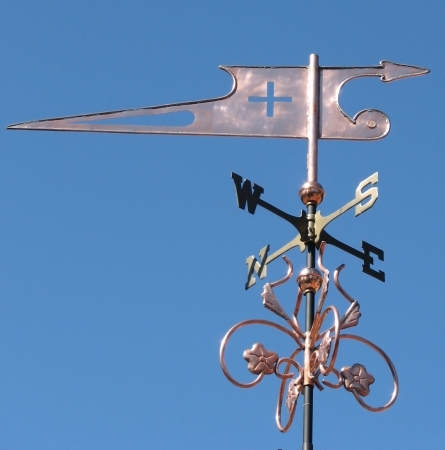 If you have something special in mind you’d like to have accompany your weathervane, give us a call. We always enjoy exploring new options.